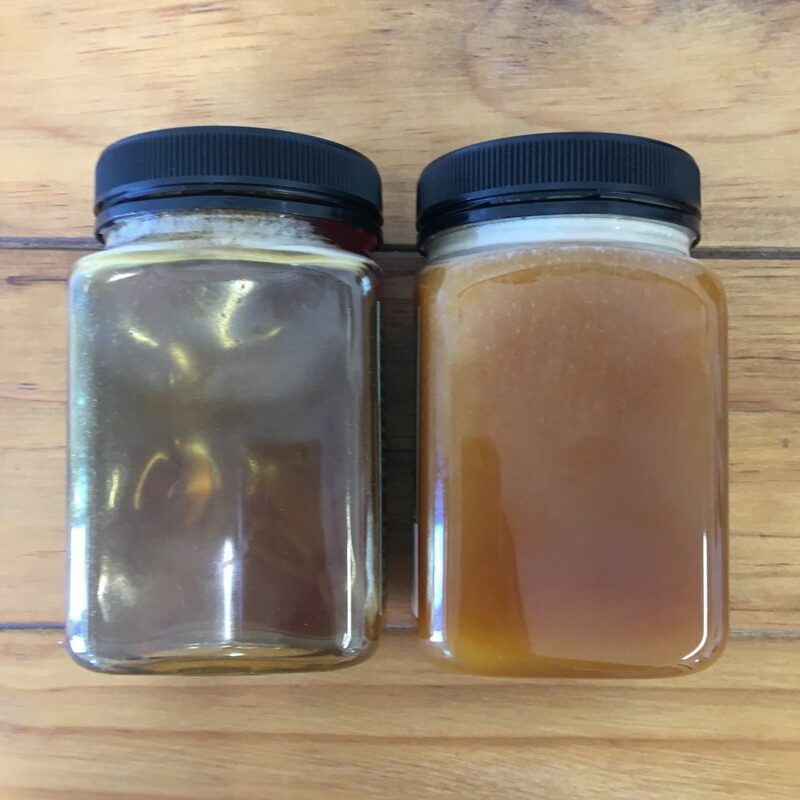 At Mountain Valley Honey, a common question we get asked is “why is some honey in liquid form, and others more solid?” In this month’s blog post, Co-owner and beekeeper, Murray Elwood will give you the answer. “Crystallization or setting is a natural process for most honeys,” he says. Honey is reflective of the region it is harvested, and it’s settling process depends on the honey’s source of nectar and the flora the bees have foraged. “Every batch we harvest each year is different from the last, no two batches are the same. At Mountain Valley Honey, we choose not to cream our honeys. “We let them settle naturally in ambient conditions. Apart from Honeydew, all the honeys in our range will settle over time” says Murray. Some varieties, such as Manuka, tend to granulate at a quicker pace than our Autumn Gold. “Cooler temperatures also speed up the setting process. “Sometimes the honey we have in liquid is simply because stock has been in demand, been recently packed and it has not had time to settle,” he says. To return crystalized honey to its clear liquid state, Murray suggests placing the jar in a warm water bath and gently stirring it to make it less solidified. Our Native Bush Honey, in different stages of it’s natural settling process. Our Beech Honeydew Honey, which doesn’t set and will stay runny.